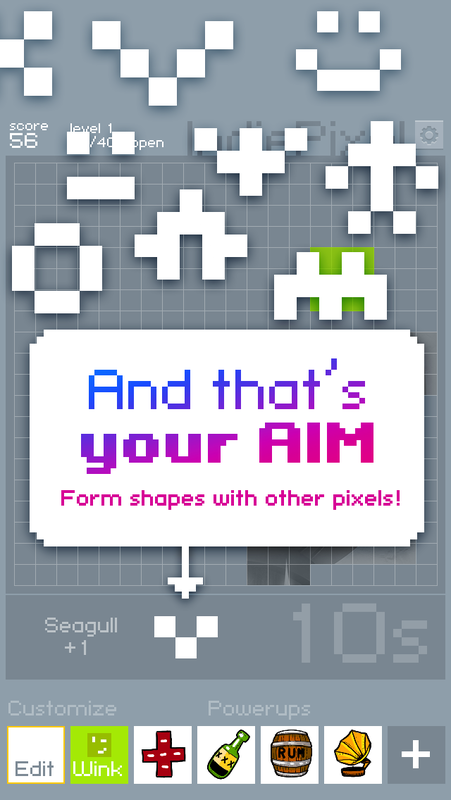 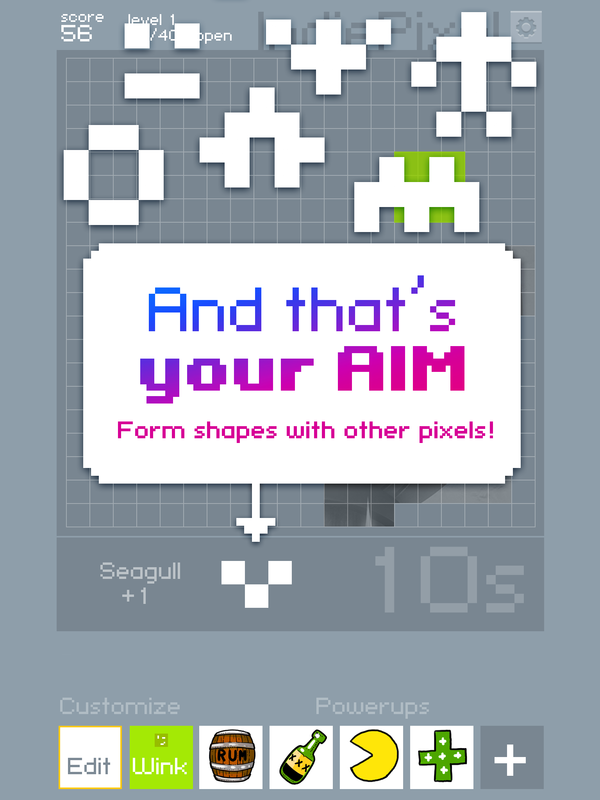 Your AIM is to build SHAPES! 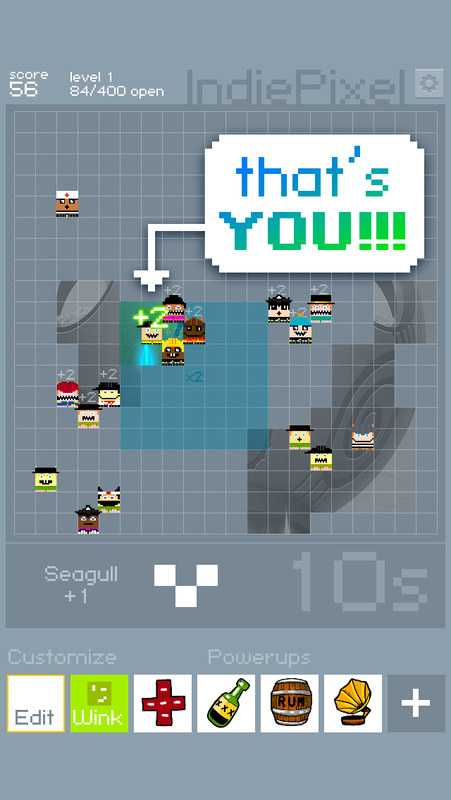 The game features massively multiplayer online gameplay. 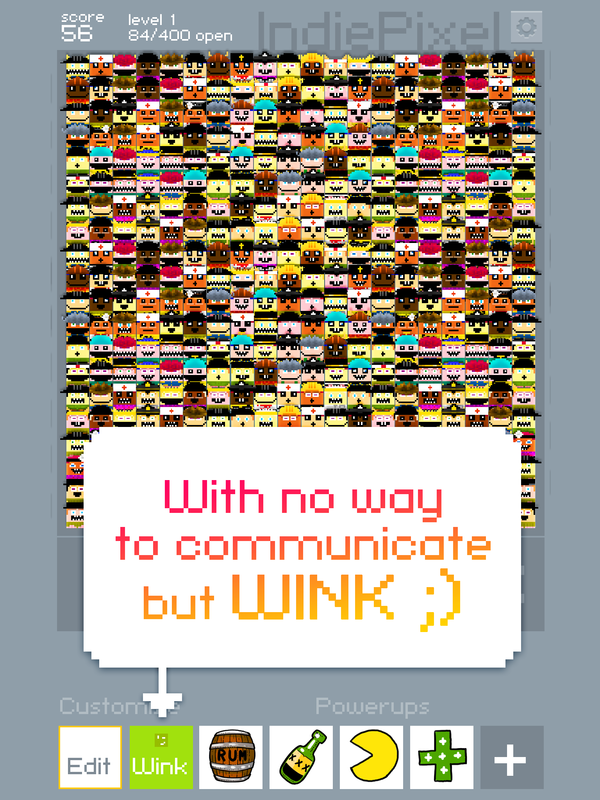 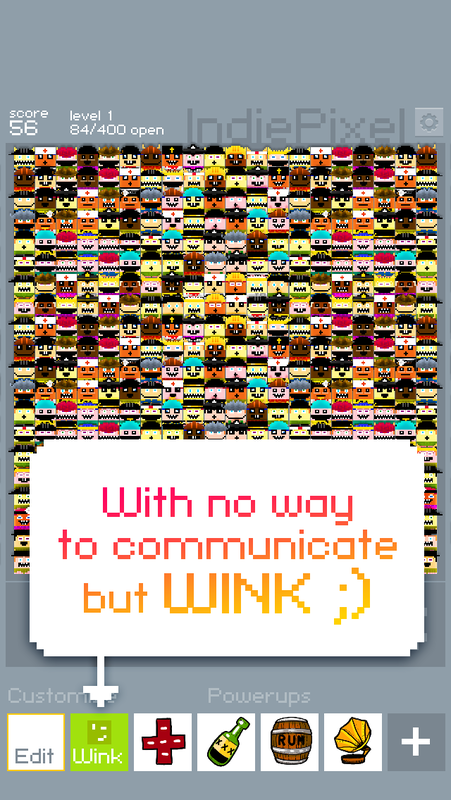 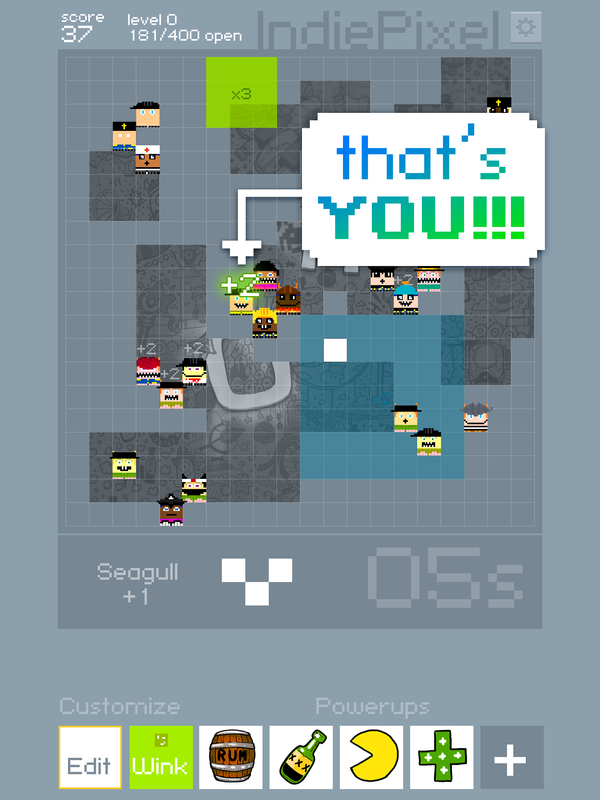 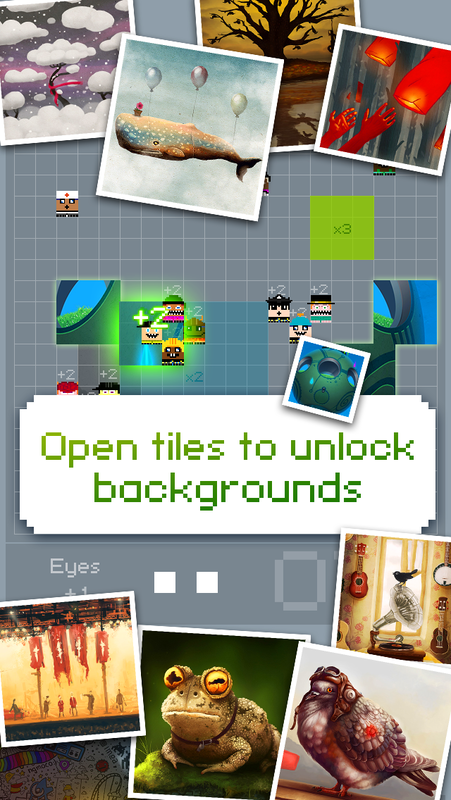 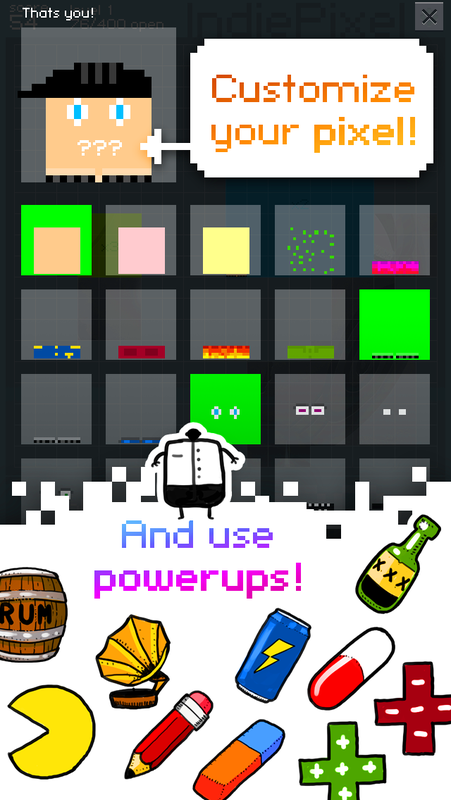 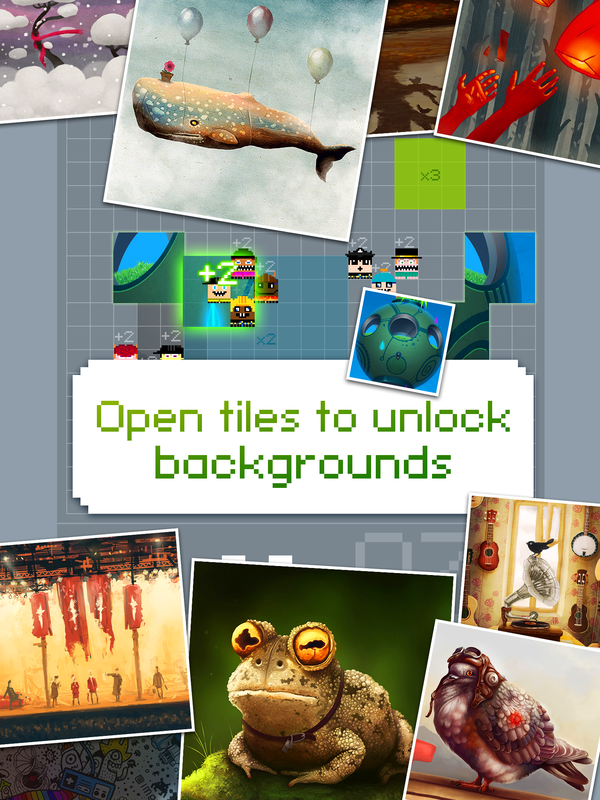 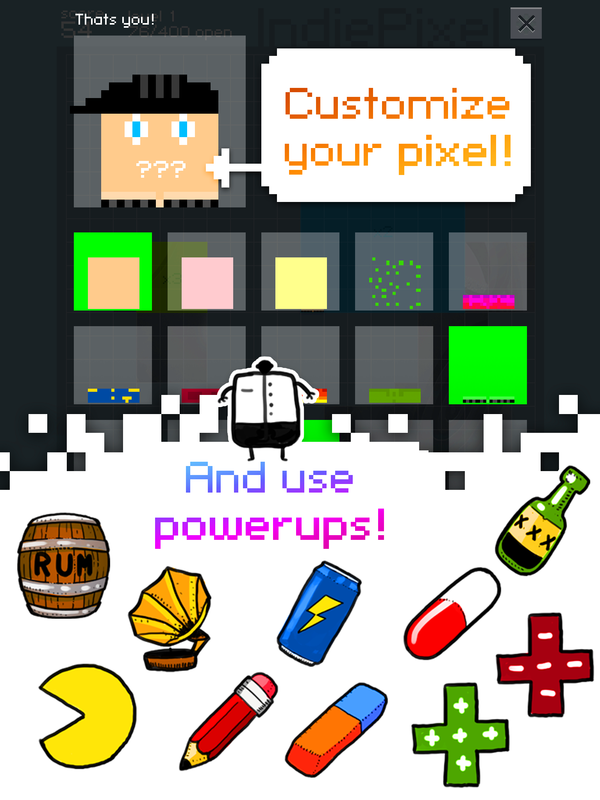 Earn and use all-unique power-ups, dress your pixel the way you want, open parts of the background to unlock pictures, which you can then use as your device's wallpaper.